If you would like to be informed of upcoming workshops, please join our newsletter to stay in the loop! $5 per print; $10 for one print & digital copy so you can have it printed as you please. Purchase your holiday gifts from over 20 local & regional farmers, artists & food entrepreneurs! 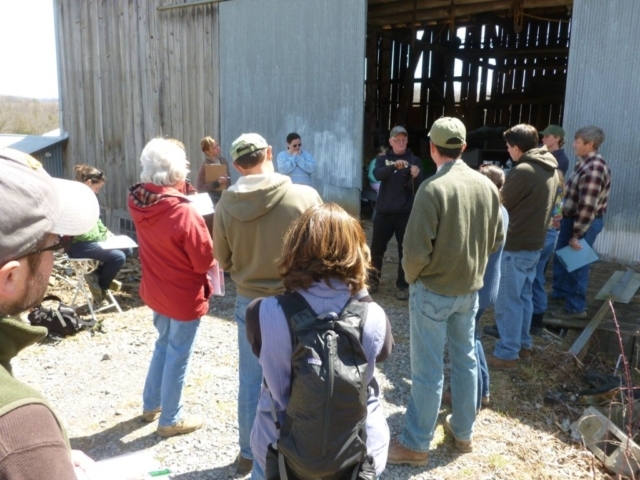 Hosted by the Potomac Highlands Food & Farm Initiative (PHFFI); PHFFI oversees the Highland Market. 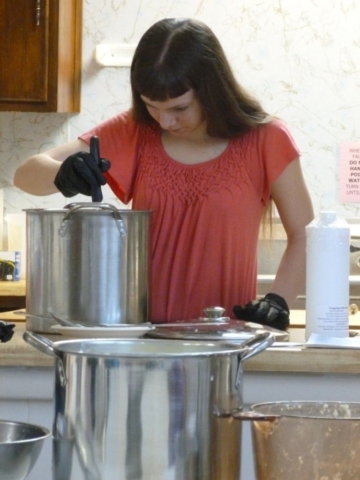 PHFFI is a non-profit currently operating with the help of the Tucker Community Foundations, but working on independence. Please support us! Interested in being a vendor at the Holiday Market? Download the registration form here! 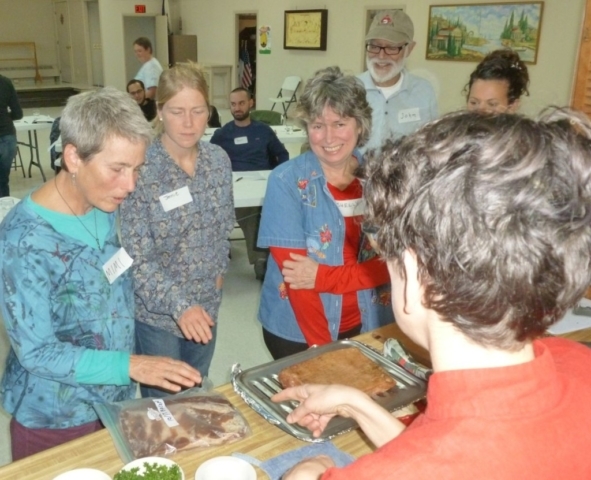 Food & Farm Workshops were created to assist and inspire folks in getting back to the way our great grandparents grew, harvested, preserved and prepared food. We strive to educate participants in the basic skills of country living. Additionally, we seek culinary enthusiasts, skilled in various cuisines, to share their talents and broaden our pallet options. We utilize community members who are practicing these skills regularly and are privy to the ins and outs of their trade. 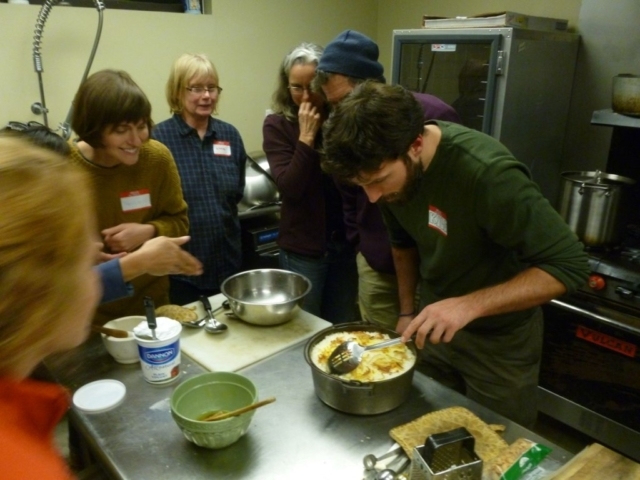 These workshops not only pass along various skills, they also build a network of like–minded folks. We are making our workshops affordable to everyone with registration fees from FREE to $35. Friends and neighbors learning tried and true techniques. Fee: $35; includes your own inoculated oyster bag! Join us to explore mushroom cultivation! 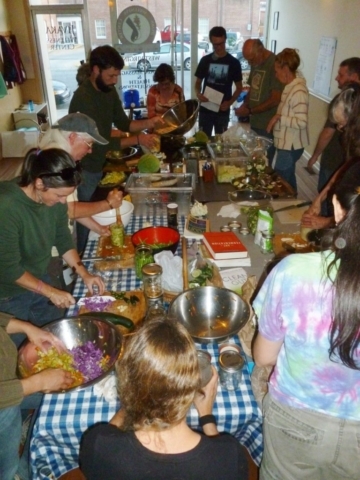 This class will be a hands-on workshop, where we learn how to inoculate Oyster mushrooms in straw. This is a simple method that can be easily replicated and adapted for small or large scale use. In addition to many helpful handouts, you get to take your own inoculated bag home! We will also discuss alternative methods of cultivation and what types of mushrooms they work with. 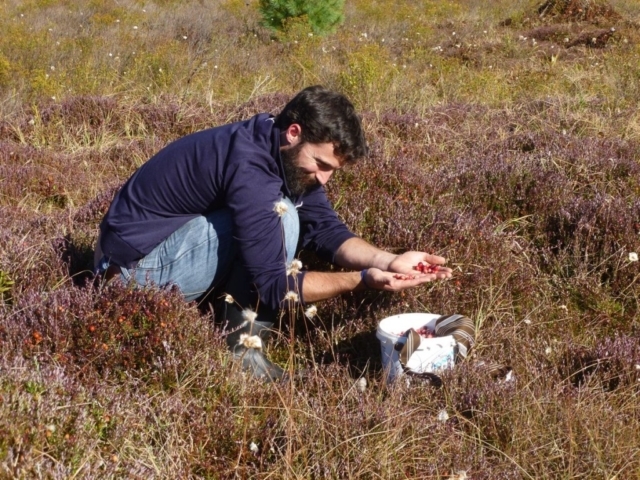 Any extra time during the class period will be used for discussion and nearby fungal foraging! Maureen and Ivan Farrell live in the mountains outside Beverly, WV, where they grow many species of edible and medicinal mushrooms. 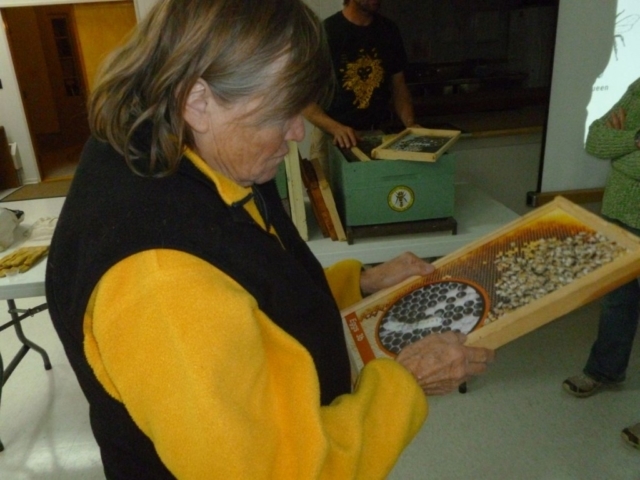 They are self taught naturalists who love to share their knowledge of identification and cultivation. Please REGISTER, by Thursday, Sept. 6th at kimmy@phffi.org or stop in at the Highland Market to sign up. Limited to 20; pre-registration is required. 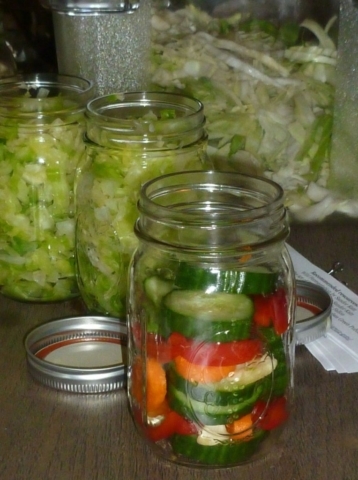 Canning can be daunting for some but for many items, like acidic foods, it’s really quite simple. Come and learn how to can, using the open kettle & boiling water method, so you can savor the flavor of summer peaches, tomatoes, pickles and more, throughout the entire year. Not only that, but reduce the unnecessary salt and sugars that are found in most commercial canned goods. 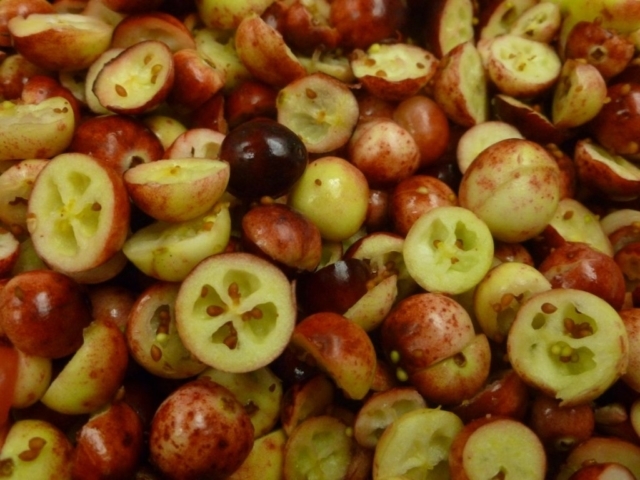 This summer, produce is in surplus, so buy or harvest in bulk and stock your pantry or cellar! Let us demystify this timeless preservation method so you can save money and eat better! Kimmy was raised on a farm and grew up preserving summer produce with her parents and grandparents. 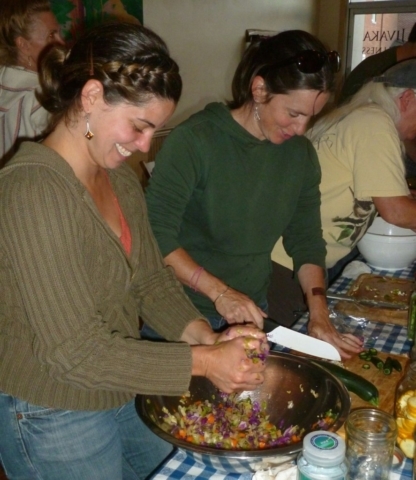 With these skills, and those acquired from her friends & neighbors, she stays stocked up with healthy, homemade, shelf stable foods. You can too! Fee: $16, includes your dinner! Some artists paint, sculpt, sing, dance, or act. Then there are those who cook. And, we’re all for art that we can eat! But, you don’t need to be a professional chef to whip up a delicious dish. Whether you’re a Linguini or a Gusteau, the kitchen doors are wide open for experimentation. Nobody knows this better than Remy, the littlest chef with the biggest dreams. So, throw on your apron, dust off your measuring cups, and let’s get cooking. After all, anyone can cook (and just as importantly, anyone can eat)! 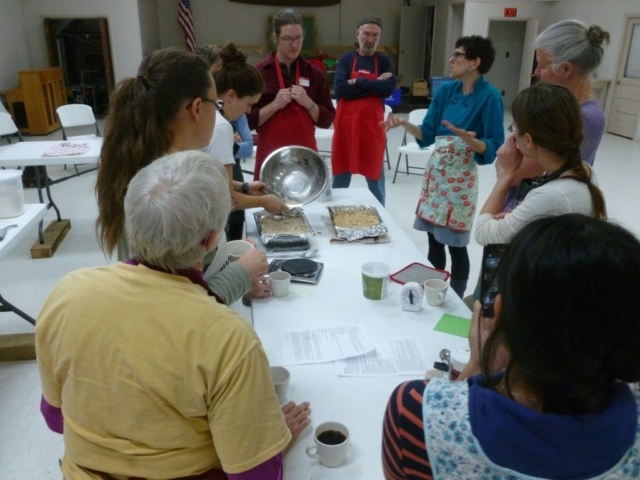 This workshop will be hands on and includes your dinner! Chef Margo was trained at Le Cordon Bleu, has a small catering business called Sweet Angel’s Catering and will be leading the kitchen at Rudolph’s in Thomas, when they open this year. 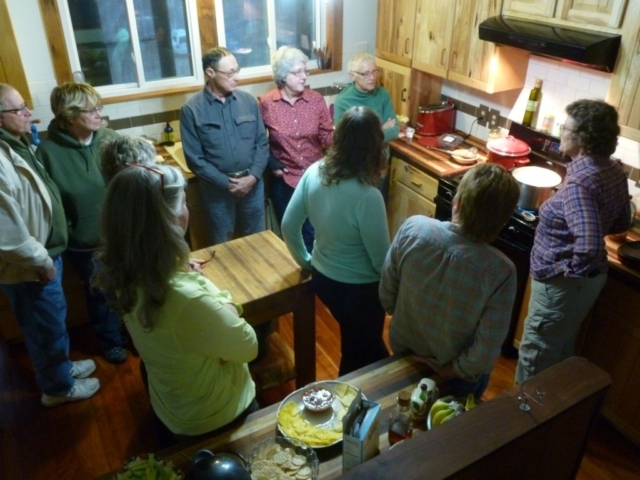 Her passion and love of food is deeply inspired by Julia Child. Please REGISTER, no later than Thursday, August 9th: info@phffi.org or stop in at the Highland Market to sign up. Pre-registration is required. Locally grown, raised, created or altered items sold by creative folks from your community and its surroundings. Vendor registration is open. We currently have a variety of producers joining us! Expected items include specialty chocolates, felted goods, potted plants, produce, USDA pork and beef, farm fresh eggs, soaps, balms, herbal creations, face painting, baskets, jams & jellies, jewelry and more! 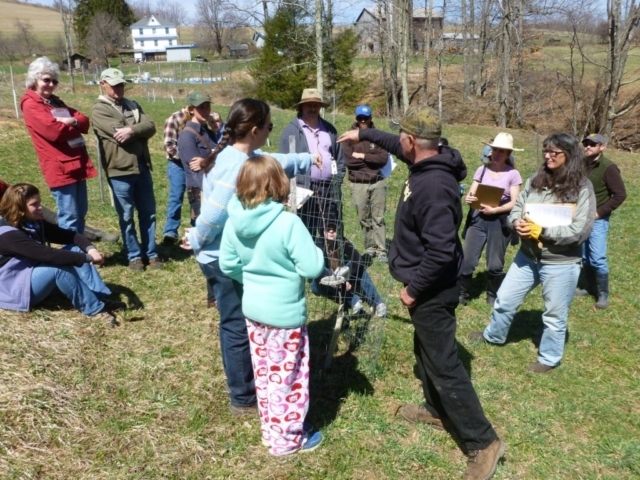 Fruit Tree Pruning & Intro to Grafting at Paul and Karen Teets Farm & Orchard in Eglon. Fee: $15, includes apple desserts, spinach strawberry salad & hot Burning Love, Karen’s potato and apple specialty! 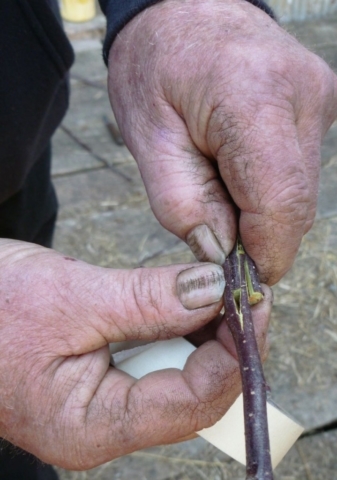 Learn how to prune old or young fruit trees from two seasoned orchardists. Paul & Karen will share their extensive knowledge of over 100 varieties of apples they have on their farm, give you tips and pointers on how to prune your trees to maximize your harvest, provide an introduction to grafting and demonstrate the proper way to plant fruit trees. They have a wealth of knowledge so you won’t wanna miss it! Please email info@phffi.org to register before 8pm Thursday, April 5th. Please come out and eat a nutritious and locally sourced breakfast while helping us raise funds to renovate the basement. 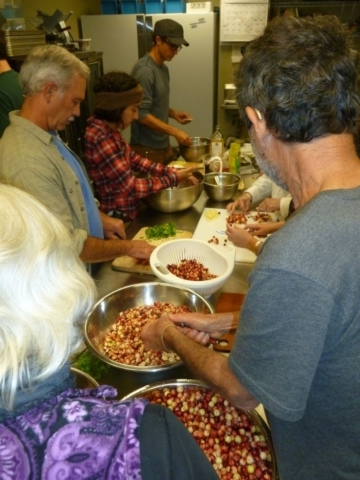 In order for the local food system to grow, more food processing (fruit/veggie preservation: fermenting, canning and freezing) is required and PHFFI needs more space to contribute to that… so we’re looking to renovate the basement and install a larger kitchen with more cold and dry storage to help everyone have healthy foods on their plates year round and to help the 15-20 farmers, who supply the Highland Market with fruits and veggies, with increased income! Affordable and delicious! You can buy tickets at the Highland Market or pay at the door! The farmers and eaters in our region THANK YOU..and so do we! If you are a farmer who would like to sell to (more) restaurants OR a restaurant owner or chef who would like to buy more local, this is the event for you! This event will involve a panel of experienced folks, from both groups, who are happy to discuss the pros and cons, so we can learn together! 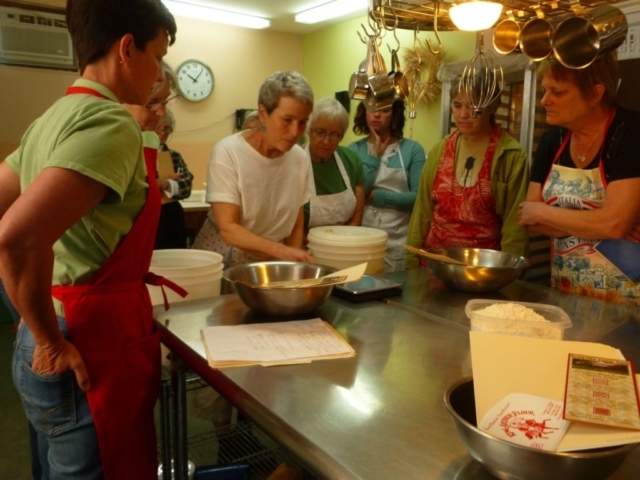 If you’ve never made fresh pasta at home, this workshop will be an eye-opener! Homemade pasta is fresher and more flavorful than dried store-bought noodles, and once you get the hang of it, it can be even faster to prepare. We will check out some specialized pasta gadgets for fun, but the focus will be on making fresh pasta accessible in any home kitchen with basic tools. With a quick and simple demonstration, you will learn how to make fresh tagliatelle and sauce from scratch using only a stock pot, frying pan, kitchen knife, and wine bottle. Then we’ll take a look a look at some other shapes—farfalle, fettuccine, spaghetti, gnocchi, ravioli, and even some tubular extruded shapes like rigatoni and bucatini. Finally, and most fun, we’ll get hands-on and spend most of the class trying out some recipes with different pasta shapes and flavors. Yum! A gluten free pasta recipe will be available to play with, if the crowd requests! Josh Stevens is a self-taught cook and cocktail artist living in Thomas, WV, where he currently works as a bartender and barista at TipTop and is a frequent guest chef for the weekly Culture Kitchen hosted by iSalud!. Before moving to Thomas, Josh worked in science, music, and outdoor education at public schools in Alaska and Montana and with the National Youth Science Foundation in Charleston, West Virginia. He also plays cello, loves bicycles, and paints with wine. Please register at your earliest convenience by emailing Kimmy at info@phffi.org; payment can be made over the phone or at the time of the workshop. We have a minimum and maximum, so please don’t delay in reserving your spot so you can enjoy homemade pasta, made from wholesome ingredients of your choosing, any time! Below is a list of workshops we have offered in the past. 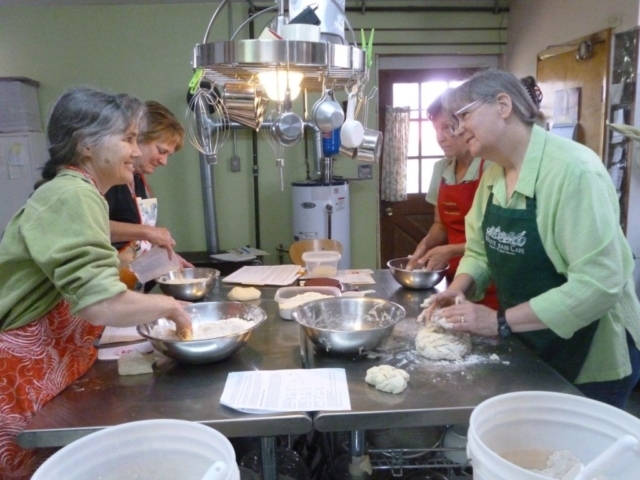 If you have a topic request or would like to become a Food & Farm Workshop instructor, please contact Kimmy or Jen at 304.259.5388 or send an emil to info@phffi.org. Homemade sodas: discussion of different non-alcoholic, fermented tonics and how to make them. Taste-testing follows.